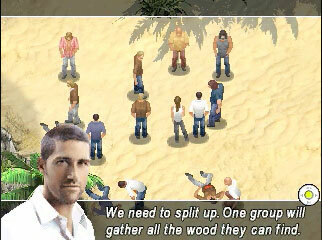 Gameloft has expanded the range of iPod games with Lost, a game based on the hit television series. The game is designed to work on 5th-generation iPods, and is $4.99 to download. Join your favourite castaways in their quest to seek truth and survive in the official iPod game of the hit television series, Lost. Help Jack search for dynamite, tend to the wounded, and avoid the black smoke. Relive the crash scene, open the hatch and ultimately try your best to escape from the Others. Immerse yourself into their mysterious world with authentic settings and a genuine storyline created by writers behind the hit show. Take on a multitude of challenges: Exploration, hunting, helping the wounded, searching for dynamite, etc.